Oded Horovitz is a Co-founder and CEO of PrivateCore, the private computing company. Oded is an expert in virtualization, cloud and information security with over 20 years of experience in the industry. Prior to founding PrivateCore, Oded was a senior staff engineer at VMware where he led the development of vShield and vmSafe security products. Prior to VMware Oded spent three years at McAfee leading the HIPS security group after joining through the acquisition of Entercept in 2003. Oded spent five years at Entercept leading engineering and security research, and six years at the Israeli Defense Force working on various IT projects. Steve Weis was previously a technical director at AppDirect. Prior to that, Steve was a senior engineer at Google. 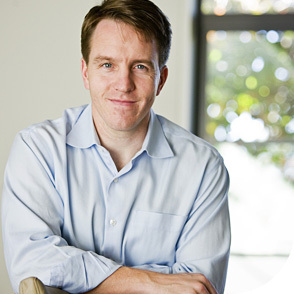 He led the design of Google’s two-step verification and received a Google Founder’s Award in 2010. Steve has a PhD from MIT in cryptography, where he was a member of the Cryptography and Information Security group. Todd Thiemann has over 20 years of experience in marketing leadership for data protection, data center security, enterprise system market segments. Prior to PrivateCore, Todd was Senior Director for Product Marketing at Vormetric, a leader in server encryption and key management, where he spearheaded launching the firm’s cloud offerings. Todd has held senior positions at Trend Micro, Hewlett Packard, and Oracle Corporation. Todd is co-chair of the Cloud Security Alliance Solution Provider Advisory Council. Sahil Rihan comes to PrivateCore with over 10 years of experience from VMware. Sahil led the performance and scalability development for the VMware vCenter. He jointly led VMware’s Linux strategy and was a member of the virtual machine monitor team. Sahil holds a Masters in Computer Science from Stanford University. Tal Danzig joins PrivateCore from IBM Canada, where he was a software development team lead focusing on platform and infrastructure. Tal’s work focuses on systems that integrate with human processes. Prior to IBM, Tal interned at Google and attended the University of British Columbia. Alon Nafta joins PrivateCore after 8 years in an elite technology unit of the Israeli intelligence corps, where he led teams and projects in security research, signal processing and communication technologies. Alon is a graduate of the “Psagot” military excellence program and holds Bachelor degrees in Electrical Engineering and Physics, both from the Technion Israel, and a Masters in Electrical Engineering from Tel Aviv University. Carl Waldspurger spent over a decade working as a principal engineer at VMware. Carl’s work has focused on core resource management and virtualization technologies. Prior to VMware, he was a researcher at the DEC Systems Research Center. Carl has a PhD in computer science from MIT, and received the ACM Doctoral Dissertation award. Dan Arai comes to PrivateCore from Graphite Systems. Dan has previously worked at Nutanix and spent over nine years at VMware. At VMware, he worked on the virtual machine monitor, paravirtualization, and the vmkernel. Dan holds Bachelor’s and Master’s degrees in Computer Science from Stanford University. Steve Vassallo is a General Partner at Foundation Capital where he enjoys the intersection of business, technology, and design. Steve earned a B.S. in Mechanical Engineering from Worcester Polytechnic Institute, an M.S. in Mechanical Engineering from Stanford University, and an M.B.A. from the Stanford Graduate School of Business, where he was an Arjay Miller Scholar.